Shortlisted for the 2008 Katharine Briggs Award. For centuries the witch has been a powerful figure in the European imagination; but the creation of this figure has been hidden from our view. 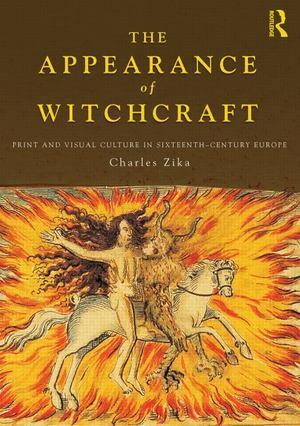 Charles Zika's groundbreaking study investigates how the visual image of the witch was created in late fifteenth- and sixteenth-century Europe. He charts the development of the witch as a new visual subject, showing how the traditional imagery of magic and sorcery of medieval Europe was transformed into the sensationalist depictions of witches in the pamphlets and prints of the sixteenth century. This book shows how artists and printers across the period developed key visual codes for witchcraft, such as the cauldron and the riding of animals. It demonstrates how influential these were in creating a new iconography for representing witchcraft, incorporating themes such as the power of female sexuality, male fantasy, moral reform, divine providence and punishment, the superstitions of non-Christian peoples and the cannibalism of the New World. Lavishly illustrated and encompassing in its approach, The Appearance of Witchcraftis the first systematic study of the visual representation of witchcraft in the later fifteenth and sixteenth centuries. It will give the reader a unique insight into how the image of the witch evolved in the early modern world.